Enjoy the thrill, freedom and flexibility of your own high-end Bangalore office space. Why work when you can cowork at Evoma? Join our coworking community to see how much fun it is to cowork and network without paying any rent and deposit. 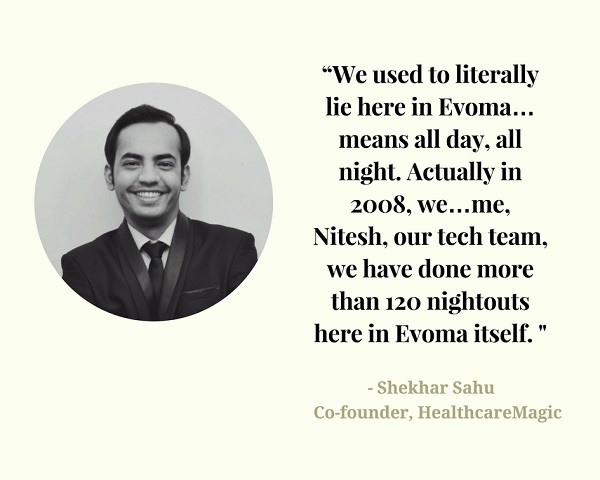 Evoma has two coworking spaces in Whitefield - one on Borewell Road in front of the Whitefield Post Office, and another one in the EPIP Zone next to KIADB's Whitefield office, with companies such as SAP Labs and TCS around you. The Evoma Business Center on Borewell Road, which includes coworking space and furnished office space for rent in Whitefield, is minutes away from key landmarks such as ITPL, the EPIP Zone, Forum Mall, Hope Farm Junction and the new Columbia Asia hospital. Your own workspace surrounded by a lush, one-acre garden. As a matter of fact, Evoma is located less than 5 minutes from prestigious residential complexes like Prestige Palm Meadows, Ozone, Park View, Brigade Harmony and Gopalan Atlantis. You have a choice of top-end nursery schools, all within walking distance. Our Borewell Road headquarters was opened 14 years ago as the first coworking space in Bangalore, to provide Whitefield residents shared working space near their homes. It's still one of the most charming and productive workspaces for entrepreneurs and corporate teams in Whitefield. Pay for desks, pay for an hour or a day, as you need, when you need it. Use meeting rooms, board room and other facilities as needed. No rent. No deposit. Walk in, meet clients, do your work, and walk out without any overheads. Need a desk and wi-fi to work for a few hours? Agile Workspaces. Meeting with employees or customers? Meeting Rooms. Freelancer or new startup working from home? Business Address. Quiet space for inspiration or thinking? Library. Privacy for a call? Telephone booths. Need a break? Rooftop Cafeteria. Need a breath of fresh air? Business Garden. 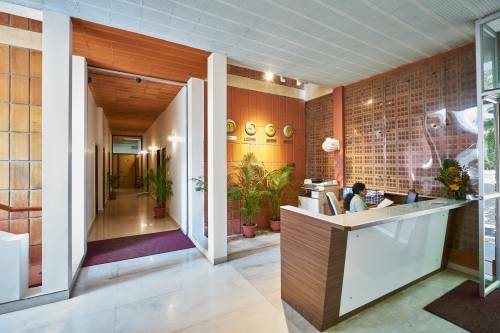 Evoma KR Puram on Old Madras Road is the only combined office space provider, coworking space, event venue and 4-star conference hotel in Bangalore. A prestigious location and stunning facility where you'll love to work and bring your clients for meetings. Four restaurants for dining and meals, swimming pool, gym, a nice garden and your own parking. The office space for rent in Marathahalli, at Evoma and nearby along the Outer Ring Road, is filled by Bangalore's largest companies and multinationals. You can occupy a couple of coworking seats to start with, expand to your own private office, and then take up an entire floor if you want to expand without disrupting your business in any way. Get a serviced office at Evoma to start and grow your business in Bangalore. We take care of everything else. With Evoma's Plug and Play Office Space in Bangalore, you get fully furnished serviced office loaded with all the technical equipment you need to get started. You can cowork, host meetings, events and conferences, and organise training sessions for groups of any size you want. Evoma - Business Hotel is just the place for you. With our resplendent accommodation and the plethora of business services and facilities that we offer, Evoma is the right choice of venue for all your events.